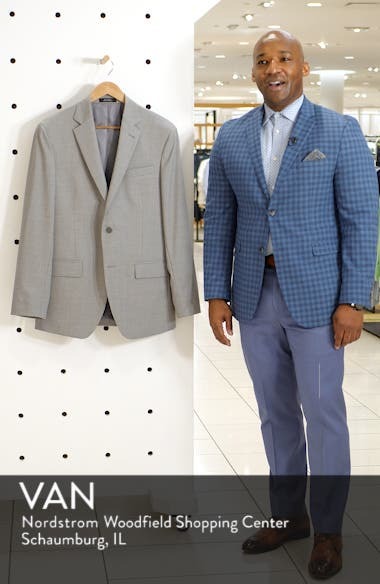 A smart choice for travel, this slim-fitting sport coat is tailored in breathable, wrinkle-resistant Tech-Smart wool woven with a hint of stretch for comfort. Choose a sizeConsidered a Slim fit; fitted through the chest, armholes and sides. Height recommendations; S=5'4"-5'7", R=5'8"-6'2", L=6'2 1/2"-6'5".